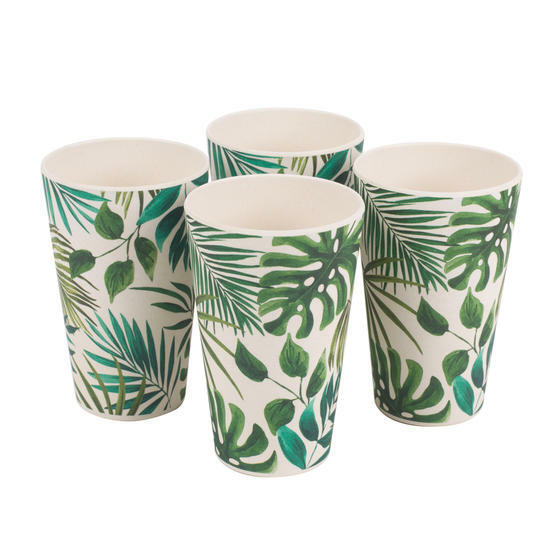 Perfect for serving a cold beverage to your guests, water at the dinner table, or simply to stay refreshed throughout the day, these Cambridge cups will always come in handy. 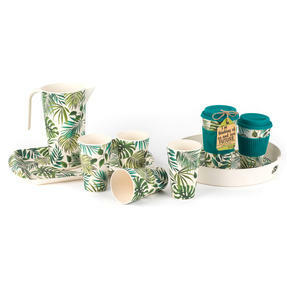 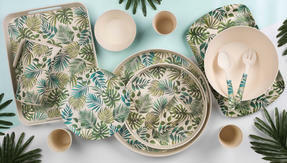 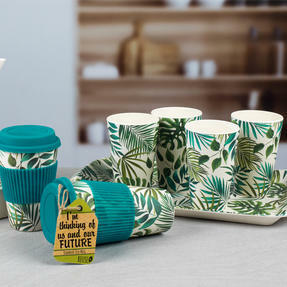 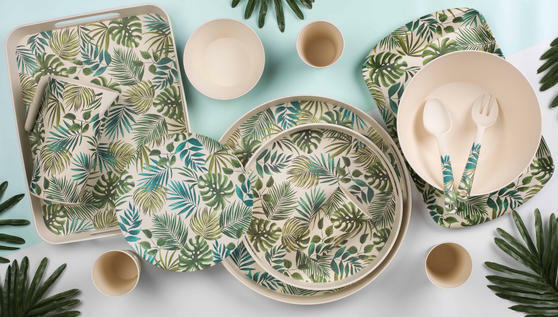 The botanical-inspired Polynesia design features plants and leaves in different shades of green, while the natural bamboo material also makes the reusable cups kinder to the environment. 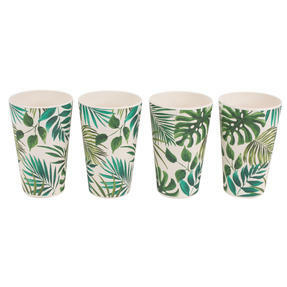 Lightweight and less breakable than glass, each cup measures 8.4l x 6.5w x 19.5h cm and they are conveniently dishwasher safe. 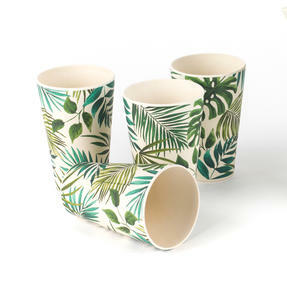 Stay refreshed with these lovely Cambridge cups, made from bamboo so you can enjoy your drinks whilst helping to save the environment. 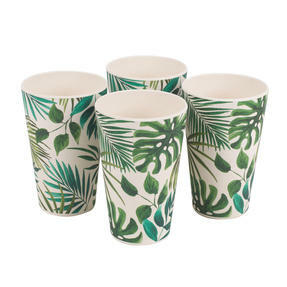 The unique Polynesia design looks beautiful in any setting, keeping the kids hydrated or serving drinks whenever friends call round. 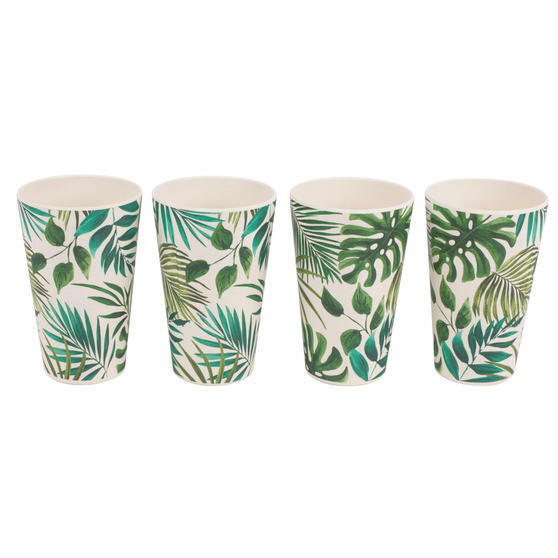 Lightweight and durable, use the cups to serve drinks at a summery picnic or hot water and lemon for a spa-inspired refreshment. Stackable for effortless storage, each cup has a base diameter of 6.5 cm, top diameter of 8.4 cm and a fantastic 500 ml capacity. A set of four, the cups are also dishwasher safe for incredibly convenient cleaning, ideal for family mealtimes and everyday use.